There have again been calls for an independent public inquiry into the 1998 Omagh bomb following the collapse of the retrial of Colm Murphy. Sinn Fein’s Martin McGuinness has called on the 32 County Sovereignty Committee to make a statement on the shooting dead of a man on the outskirts of Derry on Wednesday. The mother of 15-year old sectarian murder victim Thomas Devlin has called on senior prosecutors to “seriously consider their own positions” over their initial decision not to pursue his killers. The Belfast Court of Appeal was urged yesterday to overturn a 270-year-old ban on the use of Irish language in court proceedings in the Six Counties. The Bloody Sunday families have called on Lord Saville to publish his report on the 1972 killings rather than hand it over to the British government. Roger Casement had returned to Ireland in 1916 to share his comrades’ fate. In 1965, 49 years later and 45 years ago this week, he was finally able to rejoin them one last time. The Orange Order acts as if it has no responsibility for the decades of conflict, as if it is as harmless an organisation as the girl guides or the boy scouts. 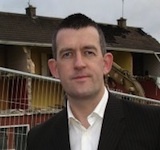 Green Party junior minister Trevor Sargent has announced his resignation from the 26-County government. A large car bomb exploded outside the court house in Newry city centre tonight. There are fears that disputes over the issue of forced sectarian parades through nationalist areas of the north of Ireland could ignite as a deadline looms for the agreement of a draft plan on the issue. Several hundred republicans gathered yesterday at a commemoration to mark the second anniversary of the death of former IRA man Brendan ‘The Dark’ Hughes. A distraught grandmother, whose west Belfast home was attacked by masked men on Thursday night, has blamed the unionist paramilitary UVF for the attack. Limerick Sinn Fein councillor Maurice Quinlivan has welcomed the resignation of 26-County Defence Minister Willie O’Dea, and said it brought an end to a “sorry saga” that had been very stressful for himself and his family. The DUP has denied that former MP and Assembly member Iris Robinson is planning a Tiger Woods-style public act of contrition following accusations over an extra-marital affair and involvement in payments by wealthy developers to her teenage lover. 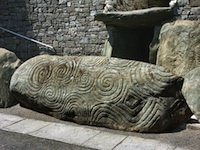 The unique prehistoric site of Newgrange in County Meath, Ireland is threatened by a planned bypass of Slane village; to preserve the site, the village should be closed to lorries, or the bypass should take a western route. A conference on the prospects for Irish unity organised by Sinn Fein in London on Saturday heard that unification “within a meaningful time-scale” is both “realistic and feasible”. 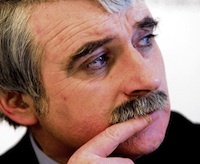 The 26-County Minister for Defence Willie O’Dea has resigned in a scandal arising from his attempts to smear a Sinn Fein election rival. 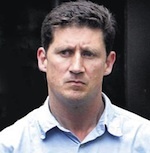 Republican prisoner Kevin Barry Nolan, who stood as an independent candidate in the 2005 council elections, has been injured in an attack by a warder’s dog at Maghaberry jail. The British government has publicly apologised to the family of a 13-year-old schoolboy for the “gross intrusion” caused when Crown forces used “flawed intelligence” to raid his family home eight hours after he was killed in a unionist paramilitary bomb. The wife of Sinn Fein president Gerry Adams has described her struggle with cancer as a “terrifying and emotional experience”. A south Belfast community worker has voiced residents’ fears that last week’s Hillsborough Agreement could lead to a return of the violent anti-Catholic parades that marred the area in the 1990s. An Israeli assassination squad used forged Irish passports to enter Dubai and kill a leading member of ruling Palestinian Hamas organisation, it has emerged. The Corrib saga has become so bitter and divisive, it can be hard to see the obvious. The long-awaited Hillsborough Agreement is a sham with grave consequences for the nationalist community. The resignation from the Green Party of Senator Deirdre de Burca has revealed an insider’s view of croneyism within the Dublin coalition government and the harsh cost of sharing power with Fianna Fail. 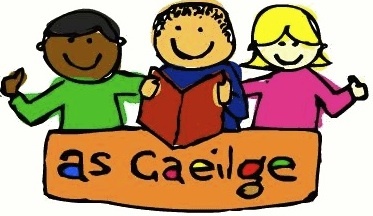 The DUP Minister for Culture in the Six County Assembly, Nelson McCausland is to bring forward a “draft strategy on minority languages” by the end of March. Hardline republicans in Derry are asking shops and businesses in the city urging not to serve members of the PSNI. A British Army controlled explosion has damaged the 17th-century Church of Ireland deanery in Derry. 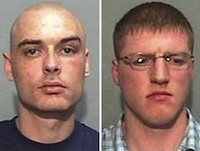 Two Derry men refused permission to appeal their case before the Supreme Court in London are to petition the court directly in their fight for compensation for the time they spent in prison. 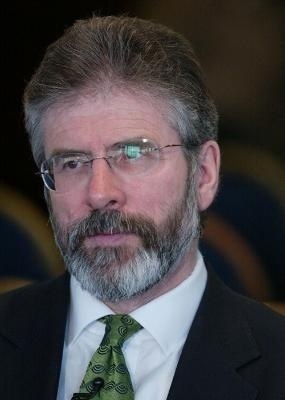 A recent interview with Sinn Fein president Gerry Adams about sectarian parades, the policing and justice deal, and the controversy surrounding allegations against his brother Liam. 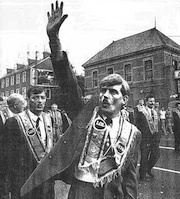 In taking the side of the Paras in relation to Bloody Sunday, Unionist leaders facilitated the killing by the same force of some they will have regarded as their own. Both the DUP and Sinn Fein have drawn a line in the sand on the issue of sectarian marches as a working group set up under last week’s agreement at Hillsborough held its first discussions on the issue. Leaders from all five main assembly parties in Belfast are currently involved in efforts to decide who will be the North’s first justice minister. 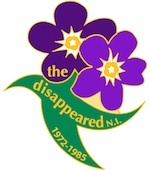 The group charged with locating the remains of those victims who went missing during the conflict is set to add a name to its list of “disappeared”, it has emerged. A dissident republican has accused police Special Branch of targeting vulnerable members of his family to inform against him. Shell to Sea campaigner and local fisherman Pat O’Donnell has been sentenced to 7 months in jail after being found guilty of a “breach of the peace” and “obstructing a Garda”. Rank and file gardai police in the 26 Counties have voted overwhelmingly in favour of taking industrial action over the imposition of levies and the public sector pay cut. 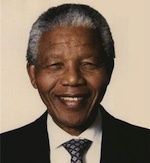 This week marks the 20th anniversary of the release from captivity of Nelson Mandela. We carry an extract from his memoirs on his time at Robben Island prison. The recent coming together by unionists with the purpose of denying government to anyone but themselves has publicly called the equality bluff. The announcement by the Irish National Liberation Army (INLA) that it has decommissioned its weapons has been strongly welcomed by the main political parties in Ireland but greeted with condemnation by hardline republican groups and mixed reactions from its own supporters. 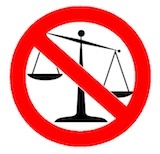 After months of arguing and years of stalemate, the first step in transferring policing and justice powers from the Westminster parliament in London to the Six-County Assembly at Stormont should begin tomorrow [Tuesday] when a new justice minister is expected to be nominated. Margaret Ritchie won the leadership of the SDLP at the weekend, beating her sole rival, South Belfast MP Alasdair McDonnell by 222 votes to 187. The 26-County Taoiseach Brian Cowen invoked the centenary of the 1916 Easter Rising in five years’ time as he made a “rallying cry” urging people to make short-term sacrifices to allow a return to prosperity by 2016. 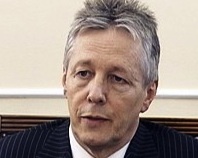 DUP leader Peter Robinson’s return to his role as first minister was triumphantly proclaimed by his party as ‘Robinson is back’ - but he still faces a series of questions over his actions. A young south Down couple are being harassed by British military intelligence (MI5) after refusing to spy on a dissident republican from Newry. Almost a decade later, it is now abundantly clear that, instead of delivering a ‘new beginning’, the PSNI has simply continued with the same failed anti-working class and anti-republican agenda of the RUC and Royal Irish Constabulary before them. It’s too early to claim that the Hillsborough Agreement is a done deal. A statement was issued today by the leadership of the INLA (Irish National Liberation Army), which declared an end to its armed struggle in October, on the issue of weapons held by the group. The North’s political leaders have earned a high-profile trip to the White House for St Patrick’s Day following the successful negotiation of a deal on sectarian parades and local policing powers. The 26-County Taoiseach Brian Cowen and British prime minister Gordon Brown today launched a deal to implement the 2006 St Andrews Agreement. The full text of the agreement announced today by the 26 County Taoiseach Brian Cowen, the British Prime Minister Gordon Brown, the First Minister Peter Robinson and the Deputy First Minister Martin McGuinness. The DUP have said they have reached a basis for deal with which they can move forward on the devolution of policing and justice. Heavily armed British soldiers were on patrol in Oldpark in north Belfast on Tuesday following a large explosion which destroyed perimeter fencing at the Oldpark PSNI barracks early on Tuesday morning. 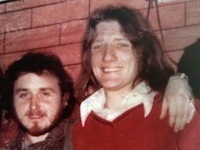 A former IRA prisoner remains in a London prison despite the refusal of juries in two high-profile trials to convict him. The inquest into the death of murdered MI5 agent Denis Donaldson in Donegal almost four years ago was again adjourned in Letterkenny this week. The death occurred early Thursday afternoon of Tomas Mac Giolla, former President of Sinn Fein and in later years held the same position as head of the Workers’ Party. 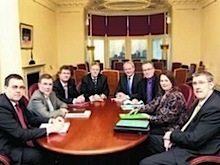 26-County state television channels (RTE) and the Irish language channel TG4 will be freely available throughout all of the north of Ireland from 2012, the Dublin government has said. An action alert by families of republican prisoners being held at Maghaberry jail in county Antrim. A week is a long time in politics. This week, and a wee bit more, has been a long time coming. Talks on the implementation of the 2006 St Andrews Agreement have ended and the basis for a deal now exists, Sinn Fein said today. British Direct Ruler Shaun Woodward has warned that efforts to reach a deal on policing and justice in the north of Ireland are “on the edge”. The DUP leader Peter Robinson is understood to be struggling to convince his party to back a deal over the devolution of policing and justice and parades. The Bloody Sunday families have joined political leaders in calling for the immediate publication of the Saville report into the 1972 killings. 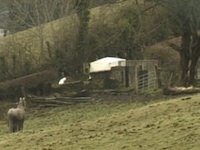 The PSNI police base at Bessbrook in south Armagh came under fire on Sunday evening. A protest has taken place in Derry after two children were subjected to a body search by the PSNI on Wednesday. Up to 70,000 members of the Siptu trade union are set to join in the industrial action being carried out by other public service unions in protest at the pay cuts introduced in the Dublin government’s budget. A promised investment fund which was to pump three quarters of a billion dollars into economic projects in the Six Counties has been scrapped, according to reports. 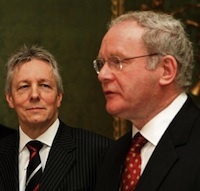 Sinn Fein need to be careful their electorate doesn't conclude that so-called power-sharing hasn;t resulted in little beyond the amused contempt of the DUP. 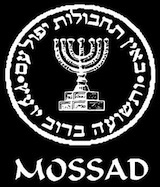 It is important to factor the context into the current crisis gripping power-sharing.